Bryan joined our team in August, 2011. He believes in the power of leadership and has spent most of his career advocating for his country and community. As a program facilitator, he is passionate about delivering our in-class mentoring and life skill development curriculum. Prior to joining Winning Futures, Bryan was the process excellence manager for the Detroit based facilities management company Powerlink. While at Powerlink he also served as the company’s corporate trainer. In that role his responsibilities included developing alternative employee learning methods, peer coaching, e-learning, and curriculum development to support workforce development and organizational benchmarks. A decorated military veteran, Bryan served 20 years in the U.S. Navy as a hospital corpsman. He retired in April 2007 as the career information program manager for all naval bases in the Pacific Northwest. 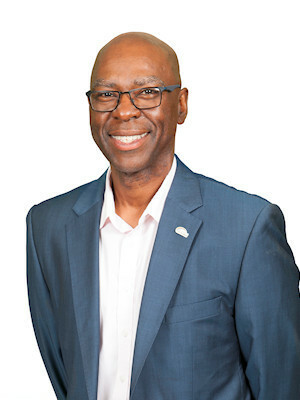 A native Detroiter, Bryan received a bachelor’s degree from the University of Phoenix and an M.B.A in entrepreneurship from Trident University with graduate certificates in international business and strategic leadership. Outside of Winning Futures Bryan is president of the National Black M.B.A. Association Detroit Chapter, one of the association’s 10 largest chapters. He lives in Warren with his wife, Wendy, with whom he has four kids, and one grandson. Bryan loves summer cookouts and playing golf.